A new study led by the National Oceanography Centre has predicted that by the year 2100, much of the world’s deep sea marine plants and animals will be wiped out as a result of climate change. The researchers, hailing from all over the world, used advanced climate models to calculate changes in future ocean food supply, taking into account biomass calculations from an extensive database of marine life. They predict that within the next century, seafloor life in the North Atlantic Ocean will diminish by up to 38 percent, and by more than five percent around the world. Seafloor ecosystems are predicted to be so dramatically affected because their main source of food is the remains of plants and animals that dwell near the surface, which sink down to the seafloor and provide nutrients to its inhabitants. Due to the effects of climate change, including slower circulation of ocean waters, the surface life is thought to be the first to be impacted. The study also predicts that marine animals will become smaller due to climate change, which will also diminish the amount of food available throughout the marine food chain. In turn, it means less food from the sea available to us. As this study shows, the effects on the entire food chain could be overwhelming. With sustainable energy options, such as solar technology, available to us, we as a planet must decide to invest in adopting the full potential of these technologies to replace many of our modern greenhouse gas-emitting industrial processes, unless we wish to realize the full extent of the harm that escalating climate change could bring. Previous articleIs Your Cellphone Making You Lazy? Next articleCould Tree Bark Keep You Alive? Hey Buddy!, I found this information for you: "Study: Climate Change to Significantly Reduce Marine Life Over the Next Century". 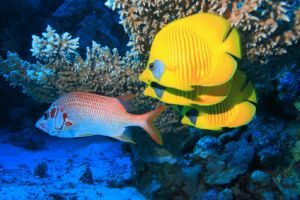 Here is the website link: https://www.thealternativedaily.com/study-climate-change-significantly-reduce-marine-life-next-century/. Thank you.